Fairy tales always seem to end with 'and they lived happily ever after'. But that doesn't really happen now does it? Even in a happy life, there has to be sadness as that is what allows us to really appreciate what we have. Snow White was convinced that she was nothing without her Charming. She was just making time until she would be able to join him in death and was unable to find joy in anything, not even her daughter's wedding. In attempting to escape from everyone, she stumbled into a tower room where she found her evil stepmother's mirror. In viewing this mirror, she was able to relieve moments in her life and rediscover her strength without Charming. When I first started reading this book, I was wondering just what I had gotten myself into as the writing and descriptions were way too flowery for my tastes. I rather quickly became engrossed in the story however and couldn't put it aside. Snowy relieved some periods in her life that would have caused a weaker person to just give up and die. And she was forced to remember that not all of her life with Charming was roses and joy. THE REFLECTIONS OF QUEEN SNOW WHITE is one fairy tale that all parents should be sure that their kids read when they are older as it shows that living happily ever after can take some work. 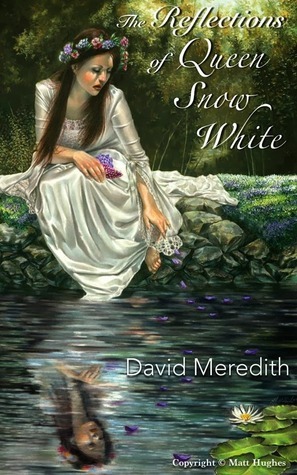 I do recommend this to story to any of my readers who enjoy fairy tales that aren't all sunshine and flower.